Infants, toddlers, and kids who use two hands to show how old they are will always have days and hours within each day where all behavior breaks down. They don’t care if it’s in a grocery store, the playground, in church, or at home, when they’ve had enough — well, you know. 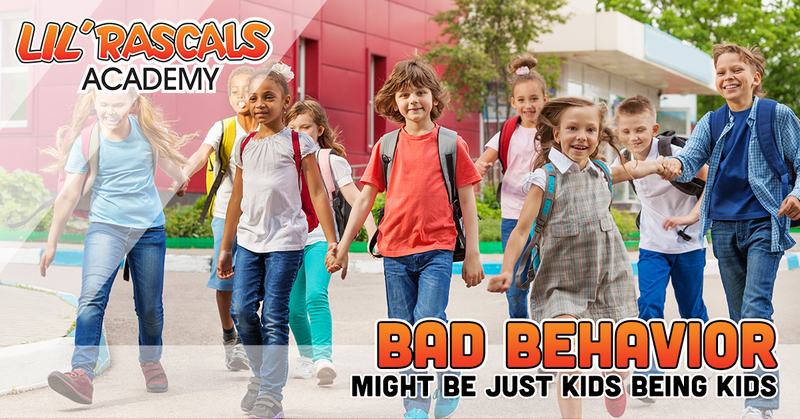 Parents and teachers alike may see children’s bad behavior as an act of defiance, which sometimes it is, but there are behaviors that may be just children being children. Here are a few behaviors that may look like bad behavior, but are actually something else. The preschool program at ‘Lil Rascals wants to see the best in our students. When a child acts up, we try to respond to their behavior with compassion, knowing that they can only do so much to control their responses. If you’re looking for a child care program, check out our four locations to learn more about our daycare services. A study was done on preschool education and found that children’s brains may not fully develop self-control until the end of adolescence. So when you ask your toddler to stop poking his younger sister, he actually may not be able to. Many parents expect toddlers to be able to control their impulses by the age of three, but the skill of self-control doesn’t really stick until the age of three and a half or four years old. Busy schedules to the grocery store, the park, and big sister’s sports games eventually lead to meltdowns or putting up a fight to every request. The busy lives and overstimulation of families are hard on young kids who have a hard time keeping up. The stress of too many activities, too many options, too many toys, children need a break from everything that goes on throughout the day. To prevent outbreaks and meltdowns, build in time during the day that is meant for resting and quiet time. Even adults experience feelings of irritability when overtired, hungry (hangry? ), or sick. The same goes for children, except they feel the affects of these physical needs to the extreme. Parents and teachers know when it’s coming up on snack time because children will start acting out a bit more. Children who skipped a nap time or didn’t sleep well through the night will have a much harder time controlling their behavior. Because kids can’t grab a snack for themselves, it can be difficult to prevent these attitude changes. However, if you know a schedule will be out of whack one day, let them know ahead of time so they can expect the change. Children Need to Move. A Lot. Do you have an especially energetic child? Trying to get a toddler to sit still for a haircut, at the dinner table, or trying to stop them from running around the house can be a nightmare. But keep in mind that high energy is normal and kids have a developmental need for staying active and playing. Before dinner at night, try spending some time outside playing baseball, at the park playing “tag”, or any physical activity that will drain some energy. Even though you won’t love it when they try to make themselves a bowl of cereal and spill the milk everywhere, kids who make decisions and follow through with action is a good thing. If they want to pour paint in the living room, wear two different kinds of shoes to preschool, or wear shorts when it’s 40 degrees outside, it’s just the beginning of them becoming their own individual, independent person. Understanding this is a process, but letting them try is important. Ice cream for dinner one night may sound like a fun, spontaneous event, but don’t be surprised when your child starts to expect ice cream for dinner most nights. Or staying up till 10 o’clock one night, and regular 8 o’clock bedtime another night, these inconsistencies are confusing for children. When kids expect one thing and get another, it will throw off their behavior and could result in crying, yelling, or whining. Know that, even if it’s a little boring, a consistent schedule will help prevent bad behavior. Understanding developmental limits in children can go a long way in understanding bad behavior. At our preschool, we strive to be patient and understanding with all of our students. 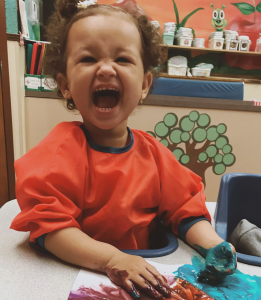 Learn more about our child care programs today and give us a call to schedule a tour!